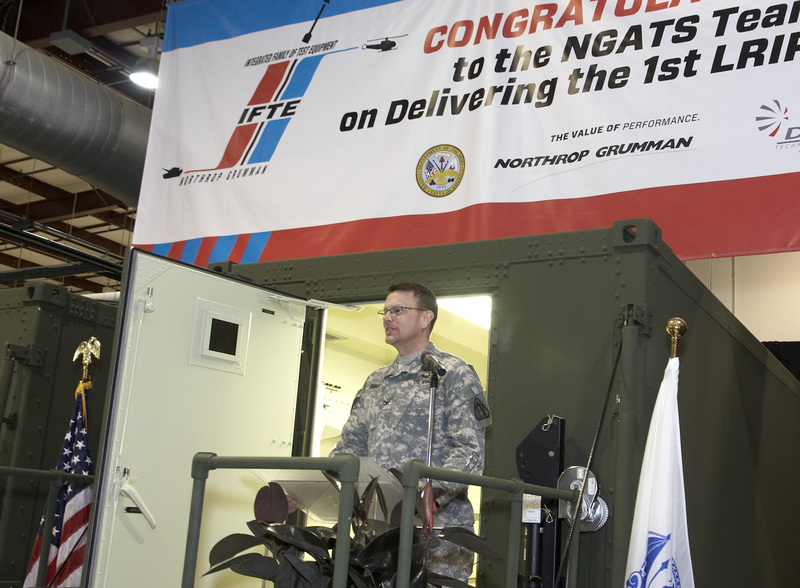 ROLLING MEADOWS, Ill., Feb. 7, 2012 -- Northrop Grumman Corporation (NYSE:NOC), together with DRS Technologies, today announced the delivery of the first Next Generation Automatic Test System (NGATS) to the U.S. Army. Under the terms of a low rate initial production (LRIP) contract, the Northrop Grumman-led team will deliver a total of eight LRIP configuration NGATS plus spares in 2012. "NGATS will provide the latest technology and improved weapons maintenance support to our nation's warfighters," said Kay Burch, vice president of communications, intelligence and networking solutions for Northrop Grumman's Land and Self Protection Systems Division. NGATS is the U.S. Army's replacement for its earlier generation Integrated Family of Test Equipment (IFTE) and the Direct Support Electrical System Test Set (DSESTS) test systems. It is backwards compatible with legacy IFTE versions. Northrop Grumman received the NGATS contract to procure LRIP units in 2010 from the U.S. Army's Program Executive Office for Combat Support & Combat Service Support and in late 2011 supported Limited User Testing administered by the Army Test and Evaluation Command and conducted at Fort Stewart, Ga.
DRS Technologies and Northrop Grumman teamed over a decade ago bringing together DRS's 25 years of Direct Support Electrical System Test Set experience with Northrop Grumman's 25 years of Integrated Family of Test Equipment experience to provide the U.S. Army one combined NGATS solution.